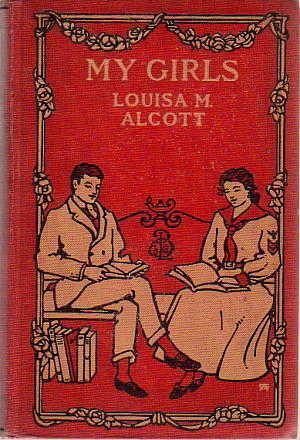 Part of a series of at least sixteen covers that Sacker did for Alcott works about this time. It is not yet certain when this design was first used. A Little, Brown edition of William Shattuck's The Secret of the Black Butte has this image. This cover design was later used for a book by Mary P. Wells Smith entitled Their Canoe Trip (1905, originally published 1889), Juliana Ewing's Jackanapes and Laura Richards' Toto's Merry Winter (ca. 1905).